Camarillo, Port Hueneme, Southeast Oxnard, East Oxnard Plain, Santa Paula, Fillmore, Piru, East Lockwood Valley, and Eastern Portion of Naval Base Ventura County Port Hueneme. 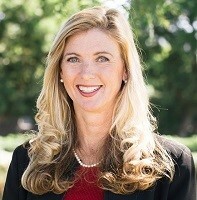 Kelly Long was elected Ventura County Supervisor District 3 in 2016. As your Supervisor, she pledges to ensure that our county government is fiscally responsible, focused on building our economy, and improving public safety. She believes that to be an effective County Supervisor you must have demonstrated leadership, sound business experience, and the ability to work with all members of our County family. Kelly Long has over 25 years of combined experience as an entrepreneur, business executive, and school board trustee. She held the office of the Pleasant Valley School Board of Trustees from 2012 – 2016. She has a degree in Mechanical Engineering from California State University, Long Beach and holds six patents. She comes from a family of small business owners, educators, and community volunteers. This experience has prepared her well to serve as your Ventura County Supervisor. She brings to this position a skill set that includes management and leadership, budgeting and fiscal accountability, collective bargaining and negotiation, policy development and process improvement that will help us develop a culture of excellence for our County. Kelly Long is married with two children and has built a strong community around them. Her family enjoys volunteering within the community and enjoys living in our district taking full advantage of the weather and outdoor spaces. As a member of the Board of Ventura County Supervisors, Kelly vows to invest the time to make our families and communities successful. With goals and teamwork, she knows we can strive for the highest level of excellence! To learn more about Kelly Long please visit her LinkedIn Profile at Kelly Long.